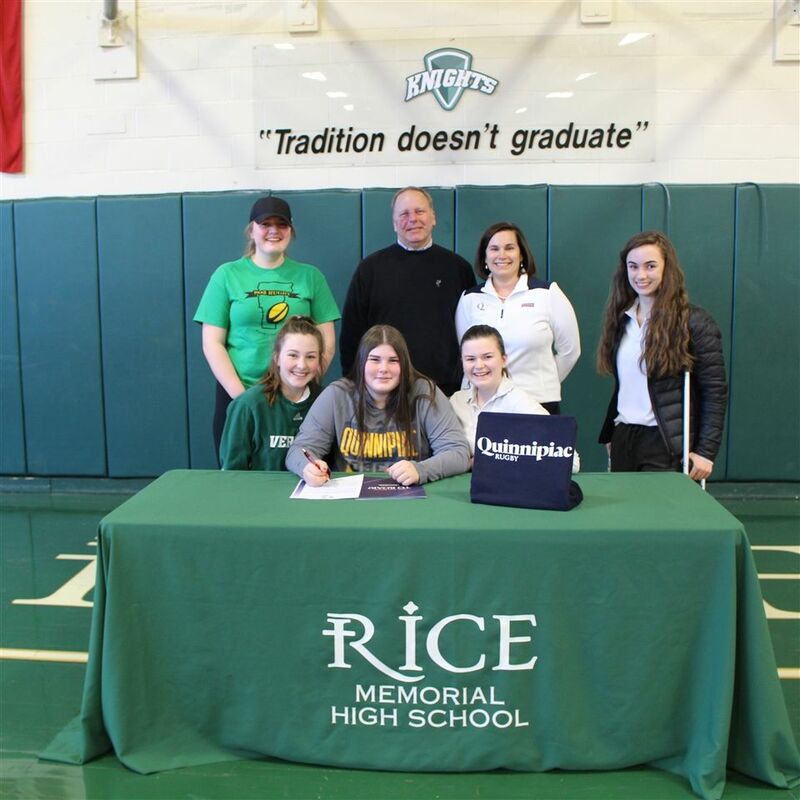 Ashton Matthews, '19 officially accepted a roster spot on the Division 1 Varsity Women's Rugby Team at Quinnipiac University on March 25 in the Rice Gym, as she signed her letter of intent. Quinnipiac, located in Hamden, Connecticut boasts three National Intercollegiate Ruby Championships in the short history of their program, which was established in 2011. The entire Rice family is extremely proud of Ashton's accomplishment and wishes her the best of luck as she begins her season this fall.